Издатель (лейбл): Epic Records / Sony Music. Made in Japan. John Elefante, who had joined Kansas for 1982's Vinyl Confessions, dominated their next album, Drastic Measures, writing six of nine songs. Elefante seemed a little unnerved by the new attention ("Everybody's My Friend"), while bandleader Kerry Livgren seemed burned out by the pressure to sell records ("Mainstream"). In that attempt, Kansas turned toward more of a hard rock/heavy metal sound. 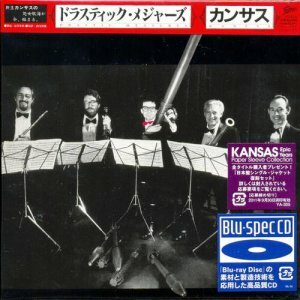 But the group's enervation was palpable, and it spread to their fans: Drastic Measures was the least successful Kansas album since the group's debut. 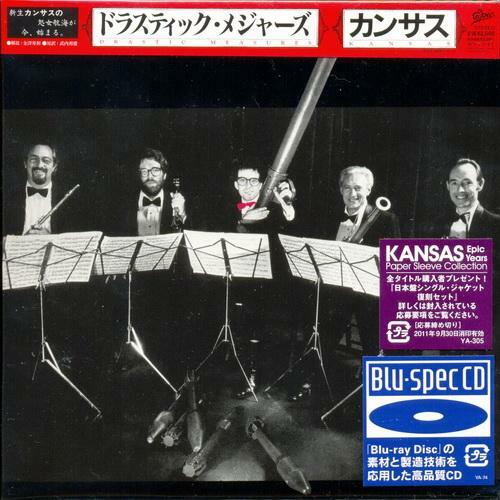 Unsurprisingly, it was also the last album Kansas made before disbanding. Kerry Livgren became a solo contemporary Christian artist, and John Elefante became his producer.